We know that nothing quite compares with travelling to new places, meeting new people and experiencing different cultures and cuisines. We have developed holidays that will appeal to your sense of travel, adventure and fun, with a great mix of activities, delicious food, luxurious places to stay and a dedicated team of professionals to make your holiday relaxed and enjoyable. The Australian National Aviation Museum is located at Moorabbin Airport near Melbourne Victoria and is recognised as Australia’s only true National Aviation Museum. Owned and operated by the Australian Aircraft Restoration Group, a not for profit Company, limited by Guarantee. 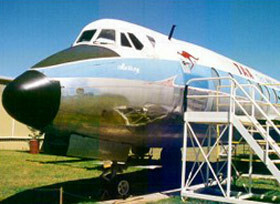 The collection was established in 1962 and is the oldest volunteer Aviation Museum in Australia. Over the last 40 years, the museum has saved a number of significant examples of Australia's aviation heritage, and with nearly 50 aircraft on display, in storage or under restoration, the Museum is one of the largest in Australia. Whether you are looking for a luxury cruise in Melbourne for an indulgent day with friends, a romantic Bed and Breakfast getaway with someone special or the excitement of participating in your own regatta, Victorian Yacht Charters Melbourne will make it happen. With the best fleet of luxury yachts on the Bay, you can book a chart cruise in Melbourne and to wow your friends, special someone or your corporate associates. We have the yacht to suit your social and corporate sailing needs including lunch cruises, dinner cruises, jazz cruises and hens party cruises. Visit our website for session times! Our Mission at AQUA DAY is to create an exceptional experience for our clients. Our Goal is to provide our clients with quality service in a friendly atmosphere with a commitment to lifelong learning. We will pamper you with soothing body treatments that not only nourish your skin but will also relax and ease your day’s stress into a forgotten realm. Co-owners Julia Clements and Colin Bruce said they would rotate the exhibitors every few weeks, mixing local, Victorian and interstate artists. Established in 1995 in the Bayside village of Sandringham, Without Pier Gallery moved to new premises 3 kilometres east in Cheltenham in 2006. The gallery has developed an enviable reputation as a specialist in contemporary Australian art. The Gallery offers an eclectic range of art and artefacts from renowned and rising Australian and Aboriginal artists. In July 2009, Without Pier opened our second gallery at 417 Hampton Street, Hampton, specialising in Australian Modern Realism and Contemporary Art. Collectors can also browse through a wide range of framed and unframed Limited Edition prints and etchings, by local and national artists. Without Pier offers a wide selection of pieces to suit all personal tastes, decor and price range. The City of Greater Dandenong’s vision is to create a thriving arts precinct that is nationally recognised for the opportunities it offers to all artists and visitors. Walker St Gallery celebrates and enhances Greater Dandenong with a diverse range of exhibitions, artist talks and monthly openings, bringing energy and vibrancy to the arts with a contemporary flavor. Walker St Gallery hosts an exciting range of high quality and diverse exhibitions from leading Australian artists to internationally acclaimed children’s book illustrators. Enjoy the warm and welcoming environment of the Walker St Gallery, open free to the public. The Walker Street Gallery is funded by the City of Greater Dandenong. The gallery charges artists a fee to exhibit, in line with other local government galleries and artist-run spaces. 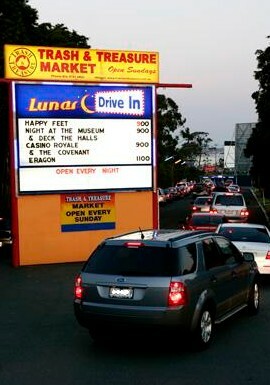 The Lunar Drive-in Theatre Dandenong is the largest drive-in theatre in Australia. We possess four screens that show all the latest blockbusters Hollywood has to offer. We are open every night of the year except Christmas night and run films for only $28 per carload (maximum price). Your local multiplex charges over $75.00 for a family of five. We believe that films should be affordable for every family so they can visit often. The Lunar Cafe is open every night before and during the shows, our award winning chef supervises the preparation of the best hamburgers and hot snacks around all at very competitive prices. So come along early and enjoy a tasty meal before the films. You can sit in our indoor diner booths, or enjoy a balmy evening sitting in our outdoor section with a full view of screen two. Reading Entertainment Inc began in the 1830s but began its focus on cinema exhibition in the early 1900s, entering the Australian market in 1996. Since this time, 19 venues have been opened with a total of 136 screens nationwide, making Reading the largest independent cinema operator nationwide. Reading focus on providing moviegoers with a first class cinematic experience, and the truly discerning patrons can even indulge in Reading Gold Lounge venues that feature a fully licensed lounge bar, a delectable light meal menu and in-cinema service. Social to Advance Leagues, Fun For All Ages. Bumpers, Mixed Teams, Juniors, Seniors and Disabled! New Leagues Starting Regularly or Create Your Own League with Work Mates or Friends! Online Shopping from Westfield. Buy Men's and Women's Clothing, Kids Toys, Computers, Movies and a wide range of other items online. Dandenong Plaza is the retail heart of Central Dandenong, a social and economic centre of south-east metropolitan Melbourne and a culturally diverse locality in Victoria. The Centre has been servicing its local region and community since 1989. Our vision is to create and embrace a place where our diverse community, culture and lifestyle are proud to come together. We offer our customers an extensive range of stores and services in a dynamic, safe and convenient environment. With major stores Myer, Target, Kmart, Coles, Best & Less, Rebel Sport and Safeway, along with approximately 180 specialty stores, you’ll find everything you are looking for at Dandenong Plaza. As well as a great place to shop, Dandenong Plaza is a great place for entertainment with a six screen Reading Cinemas complex. Parkmore Shopping Centre has been servicing the eastern suburbs of Melbourne since 1973. We offer our customers an extensive selection of stores and services in a modern and convenient environment. The Centre is focused on offering customers convenience and with major stores Kmart, Big W, Best & Less, Coles and Safeway, along with approximately 120 specialty stores, you’ll be sure to find what you are looking for at Parkmore Shopping Centre. The Centre is supported by plenty of parking and is serviced seven days a week by local bus and taxi connections. Parkmore Shopping Centre has had a long association with the community and has evolved to meet the changing needs of the area. The world's largest shark and sting ray feeding experience. The Australian Shark and Ray Centre sharks and rays feed all day, everyday. And feeding three metre sharks or 300kg rays is exciting, educational and the memories will last a lifetime. Australian Mallee Art showcases a wide array of contemporary Aboriginal art and design. Paintings are representative of the major styles of Indigenous art. 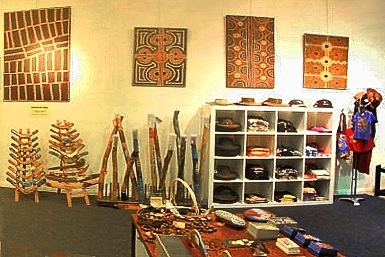 The range of handcrafts includes iconic artefacts such as didgeridoos, boomerangs, woven art, carvings and sculptures. Royalties are paid to the original artists on a range of licensed products that incorporate Indigenous designs. Stock includes authentic Aboriginal art and craft, Australian hats, wood products, ceramics, glass, leather goods, Australiana, clothing and books. The Victoria Golf Club is acclaimed by golfers all over the world for its fine hospitality and superb world championship course. Situated in the heart of Melbourne's rolling sand belt country, in the beachside suburb of Cheltenham, it offers a sporting experience on par with the world's best. The beautifully landscaped par 72 course is designed to challenge both the amateur and professional golfer and was the host club for the 2002 Australian Open Championship. The Clubhouse has 15 spacious and comfortably appointed rooms, each with full ensuite facilities, for residential accommodation. Each room also offers views of the grounds and the course. With hospitality equal to the course, Victoria's stately, three storey, fully air conditioned clubhouse exudes comfort and a welcoming, congenial atmosphere. Kingston Heath is one of the Golf Clubs of the world famous Melbourne Sandbelt and has hosted numerous national championships including eight Australian Opens, two Australian Masters and eight International Final Qualifying events for The Open Championship. The course is currently ranked *20 in the world and is regarded by many, including some of the world's best golfers, as one of Australia's finest golf courses. "I've always loved coming down here and playing these golf courses… it' a treat. The course is renowned for its natural charm and strategies created by its superbly crafted greens and bunkers. Designed by Dan Soutar and built by Mick Morcom, considered by Mackenzie the best green keeper he had come across, the course was opened in 1925. At 6812 yards and par 82 made it one of the longest and hardest courses in Australia. Patterson River Golf Club is a sand belt golf course that has been built around a 15-hectare lake system, providing an attractive and natural setting with abundant bird life. It features superb couch fairways, undulating Penn links bent greens, guarded by an extensive array of bunkers. It is a course that provides a fair test of skill for all range of golfers. Patterson River provides a fully equipped Pro Shop as well as men's and women's competitions held daily. All categories of membership available and guests are most welcome. 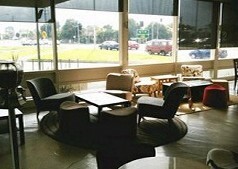 Enjoy a meal, coffee or drink at Patterson River's Kapers Bistro and Cafe. In warm weather take advantage of our outdoor terrace or balcony overlooking the course. 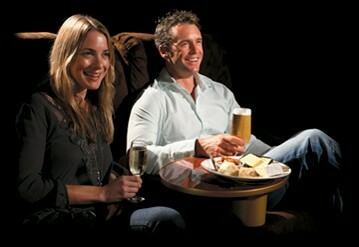 Or, if you prefer, the bistro offers air-conditioned comfort all year round. With peaceful surroundings and ample parking, it is the perfect place to relax and meet up with friends for morning coffee, lunch, after work or a weekend breakfast. The bistro is open every day for lunch from 11.00am to 2.30pm. The restaurant is open five nights a week, from Tuesday to Saturday, serving meals from 5.30pm until 8.30pm. Overlooking the course, Patterson River's newly renovated clubhouse sports an elevated function room comfortably seating up to 350 guests, and up to 500 for cocktail events. The flexibility of our function space also allows for more smaller, intimate sized events and gatherings. Our award winning Chef and catering department will tailor a menu to suit your taste and budget, which is complimented by our extensively stocked bar and cellar. Your guests may also enjoy pre dinner drinks and canapes on the balcony looking over the picturesque scenes of the golf course. We are happy to work with you to create the perfect dining package and furthermore are able to cater for any specific dietary requirements. 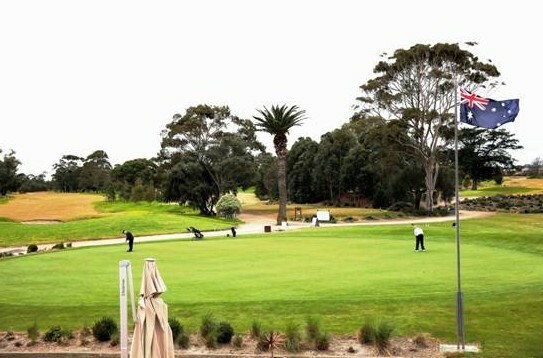 From golf, weddings, birthday celebrations, event launches, formal dinners, corporate days, buffets, cocktail parties and small intimate gatherings, Patterson River Golf Club proudly extends friendly and professional service itself to meet the individual needs of each special occasion. If you would like to arrange a site inspection for an event, or wish to receive any further information please feel free to contact us. The Shri Shiva Vishnu Temple at Carrum Downs is a culmination of years of planning by the Hindu Society of Victoria, a skilled team of Indian artisans and an army of volunteers. 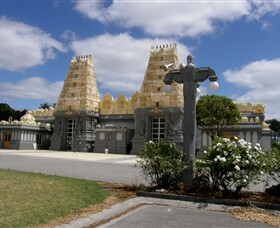 The temple combines classical Hindu traditions with construction practices in Australia. Recently the Society has completed another ambitious project in completing the construction of a multi-million dollar Cultural Centre and has made it open to Victorian Community on May 5, 2012. There are 32 deities worshipped in the temple from various Hindu traditions. Worship is based on elaborate rituals with deep meaning. All the rituals have but one aim: symbolically awakening the spirituality in the devotee. Colourful festivals from different traditions of Hinduism are celebrated here. They include Holi, Deepavali and the New Year. As well as maintaining the tradition, the society contributes to the spiritual development of young children through a good library and regular classes on Hinduism. A Cafeteria serving vegetarian snacks, food and drinks is open in the Cultural Centre on all days and provides food and snack services to all visitors got the temple as well as the Cultural Centre. The Cultural Centre in addition to hosting this Cafeteria with Industrial Kitchen with hundreds of volunteers also has a large community hall, two rooms for community functions such as Weddings, annual music concerts and other events. It also supports a large religious library with two class rooms for Hindu religious school run as part of the Hindu community service. Hinduism is the oldest living religion in the world. It dates back more than 6000 years when Hindu philosophies and a way of worship for Divine realisation were propounded in India. Hindu temples are usually majestic structures with ornamental spires soaring into sky at the main entrances, and elaborately decorated halls. Speedhawk Aerobatic Flights Melbourne is driven by a single minded purpose; and that is to share our passion with you. This is an experience you'll never forget! You've seen the Red Bull Air Race, now take the ride of your life in the Extra 300L, the fastest, most powerful two seat aerobatic aircraft in Australia! Your fun meter will ping from the moment you leap into the air and will continue long after your flight has reached solid terrain. Your senses will be overflowing with adventure. Experience a roll rate of 400 degrees per second. Marvel at the climb rate of 3,200 feet per minute (that's 16 metres per second!) and for those adrenaline junkies that dare, experience what +8G to -8G feels like. You will be given a detailed safety briefing prior to your flight. Your pilot will also explain the aerobatic manoeuvres that you will be performing throughout your Speedhawk flight experience. Take off and get to know the aircraft. 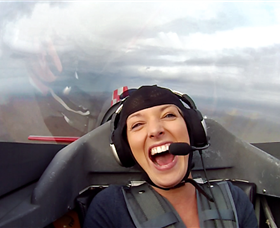 Your pilot will demonstrate aerobatic manoeuvres such as loops, rolls, turns, tumbles and barrel rolls - all performed to your woo-hoo factor! Exhilarated to the extreme, catch your breath as you land back down on solid ground and commence the final debrief with your pilot. Chat about your absolutely insane experience including the amount of 'G' that you pulled during your flight. There is also the opportunity to take photos and purchase an in cockpit DVD of your flight. All flights and aerobatic manoeuvres are tailored to your nerves, tolerance and comfort level. View the world from a truly amazing perspective; your appetite for adventure will never be the same again. 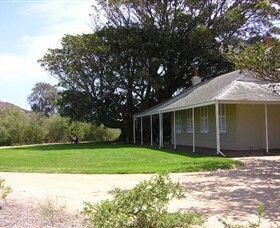 Black Rock House was built in 1856 by Victoria's first Auditor-General, Charles Hotson Ebden, as his seaside retreat. Complete with a castle wall and Moreton Bay Figs, this historic home in the Melbourne Bayside suburb of Black Rock has a fascinating past. It was considered to be the first house built in the district and the suburb of Black Rock is named after the iconic house. Throughout its rich history, Black Rock House has been utilised as a meeting place for Melbourne's elite, as a retreat for Governor Sir Henry Barkly and also as a private house. The heritage listed property is also renowned for its majestic gardens with the themes of these gardens reflecting honouring the connection to the Charles Ebden and local indigenous flora. All are welcome to take a free tour of Black Rock House on Sunday afternoons and by appointment any day for groups. Our website lists several special community events as well as Ghost Tours held in Winter. The Friends of Black Rock House Inc originated in 1979 to fill Black Rock House with Victorian furnishings, so visitors are able to gain a sense of life in the house at the time it was built (1856-58). Membership of the Friends of Black Rock House is also available. 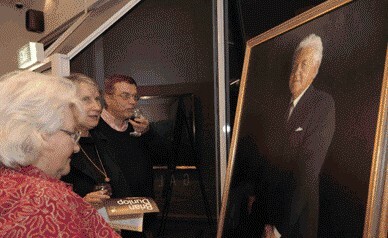 Members receive a regular newsletter history and invitations to Friends of Black Rock House functions. This membership is great for families, individuals and history buffs. 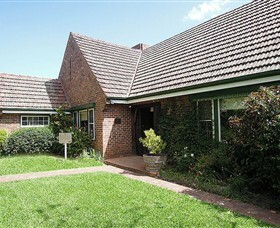 Braeside Park is an oasis of parkland nestled amongst golf courses, urban development and busy roads. This is a great park for a family day out, with an adventure playground to keep the kids happy, barbecues and a picnic area, as well as seven kilometres of easy walking and cycling trails. Things to see and do - bring your bike and explore the 7 kilometres of trails - bring a picnic and use the free electric barbecues, or BYO gas barbecue - see the old racetrack where the mighty Phar Lap ran in 1930-31 - try to identify different birds in the many wetlands and billabongs - call in and see the artist at work in the Art School - play on the award-winning adventure playground - go on a self-guided trail walk or observe the wildlife from the bird hide and observation decks - join in a night walk and see the park after dark Before you go Conditions can change in parks for many reasons. For the latest information on changes to local conditions, please visit the relevant park page on the Parks Victoria website. Be bushfire ready in the great outdoors. Refer to the Bushfire Safety section on the Parks Victoria website for tips on how to stay safe. 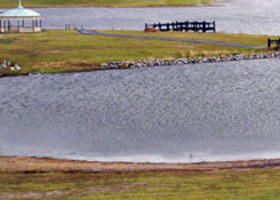 Karkarook Park is a recreational and environmental oasis, revegetated with indigenous plants. The 15 hectare lake is a good spot for canoeing, kayaking or sailing. Explore the park on foot or bike on 6km of trails. Take the dog for a walk. Or try your luck fishing for Rainbow Trout or Red Fin. Before you go Conditions can change in parks for many reasons. For the latest information on changes to local conditions, please visit the relevant park page on the Parks Victoria website. Be bushfire ready in the great outdoors. Refer to the Bushfire Safety section on the Parks Victoria website for tips on how to stay safe. With its rockpools close to shore, Ricketts Point is the perfect place to introduce kids to the wonder of Victoria's underwater marine life. 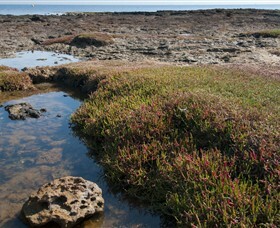 Sandstone platforms are home to an array of marine creatures and are excellent for rockpool exploration. During summer the beach is patrolled by the life saving club, making it a great option for a summer family outing. Located just near Beaumaris in Melbourne's south east, this sanctuary is 115ha. Bordered by jutting cliffs of sandstone which have been worn down into a series of platforms, sea caves and offshore reefs, this site is easily accessible for all. There are a range of habitats to explore including rocky sandstone intertidal and subtidal habitats, sandy beaches and subtidal soft substrates. Within the diverse range of habitats at this site, there are many plants and animals which can be found. Near shore, the rocks are covered with green and red algae which shelters a range of invertebrates including brittle stars, bristle worms and crustaceans. The surrounding sandy bottoms are covered by patches of seagrass which attract a range of fish species. In deeper waters, rock bommies are carpeted in either green Caulerpa or brown Sargassum, which hides many small animals. These rocks also attract fish species including Southern Hulafish, scalyfin and morwong. If you look carefully, you may be able to uncover one of the masters of disguise, a cuttlefish. These animals are experts at changing their colour and skin texture to conceal themselves. Before you go Conditions can change in parks for many reasons. For the latest information on changes to local conditions, please visit the relevant park page on the Parks Victoria website. Be bushfire ready in the great outdoors. Refer to the Bushfire Safety section on the Parks Victoria website for tips on how to stay safe. 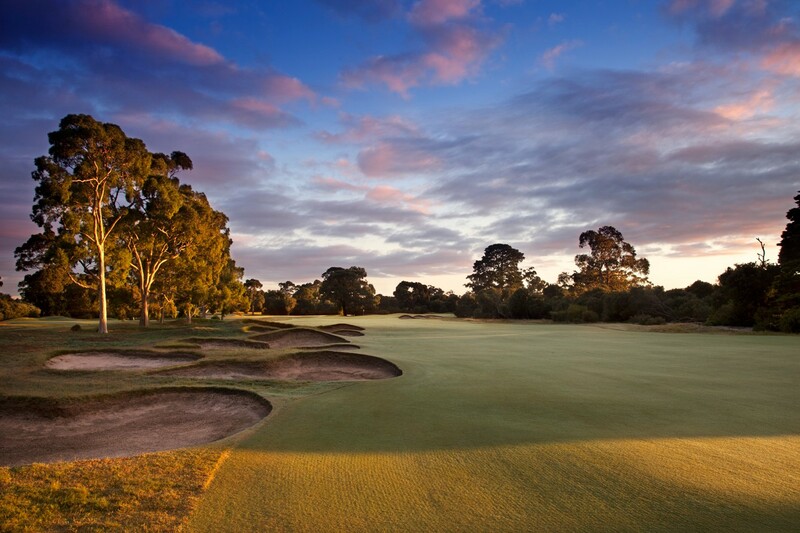 Royal Melbourne Golf Club is recognised as one of the pre-eminent golf courses in the world, widely known as the top rated course in Australia and in the top ten in the world. 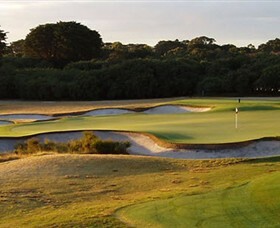 Royal Melbourne Golf Club is a private golf club. Visitors should be from an interstate or overseas recognised golf club, with a current membership identification card and a letter of introduction written from the home club. 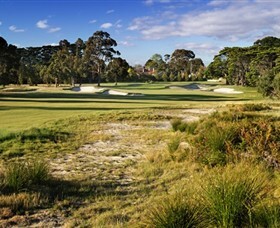 Royal Melbourne Golf Club is situated in the renowned Sandbelt area. Access details and further information can be viewed in the website. With its diverse combination of bushland, cultural heritage and sporting areas, Dandenong Police Paddocks is a good spot for walkers (with or without their dogs), cyclists, birdwatchers and sporting enthusiasts. Things to see and do - The Dandenong Police Paddocks has a diverse combination of rural bushland, cultural heritage and sporting areas. - There are recreational opportunities for walkers, cyclists, bird watchers, dog owners, golfers, athletes and many more. - Nerre Nerre Warren Picnic Area, at the end of Brady Road, is a newly developed picnic area that caters for a range of visitors. 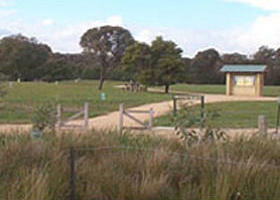 - Stroll along one of the many trails in the area that form a network in the Dandenong Police Paddocks Reserve. There is a short 700 metre walk to the rear of the picnic area that is suitable for visitors with limited mobility. - An information shelter in the picnic area provides history and reports on future developments. - For a more hands-on approach, consider joining the Friends of Dandenong Police Paddocks Group, the group has planted thousands of native plants, rehabilitated a wetland area, constructed and installed nestboxes and participated in many Clean Up Australia days. The regular planned activities are designed to allow people of all ages to enjoy and participate in the protection of the reserve. Before you go Conditions can change in parks for many reasons. For the latest information on changes to local conditions, please visit the relevant park page on the Parks Victoria website. Be bushfire ready in the great outdoors. Refer to the Bushfire Safety section on the Parks Victoria website for tips on how to stay safe. How about a visit to the Australian National Aviation Museum at Moorabbin Airport; with one of the most important collections of aircraft and engines in Australia this is a fantastic place for those interested in aviation history and technology, and a great place for kids and adults alike to wander around and even look inside a number of aircraft. 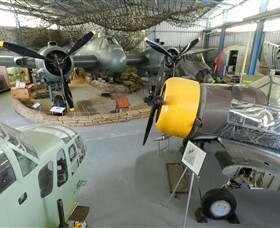 Some examples of the collection include a Mirage jet, the oldest WW2 Beaufort Bomber left in the world, The oldest CAC Wirraway surviving and one of just five Beaufighters left. 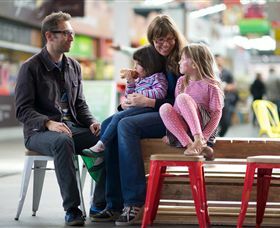 Dandenong Market is an iconic market in Melbourne's south-east and is a much valued community asset both locally and regionally. Located in the heart of Dandenong, it is a place to meet, to eat, shop and play and a place where people can celebrate cultural diversity of the market. Everyone from around the world feels at home here, so you will too. It's like strolling around a souk, meandering through a hawkers market or blending into a bazaar. The aromas are tantalising and the sights unusual, with the constant presence of families, exotic, abundant food and the irresistible allure of mysterious tastes from afar. Dandenong Market is a treasure trove for food lovers. You'll find almost any ingredient you can imagine here so your taste buds can go on any adventure. There are many great stores and fresh produce, so come down to experience it. There's so much to see, taste and discover. Heritage Hill Museum and Historic Gardens provides a unique opportunity for visitors to enjoy cultural heritage and public programs, art exhibitions, interaction with resident artists and specialised events all year round. Set on one and a half acres of maintained landscaped gardens in the centre of Dandenong (minutes from Dandenong Plaza) Heritage Hill features historic buildings 'Laurel Lodge' built in 1869 and 'Benga' built in 1936. For all program, exhibition and artist residency enquiries please contact Heritage Hill Museum and Historic Gardens. 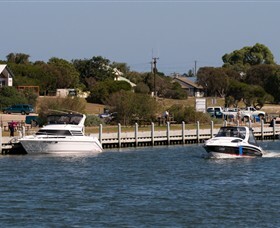 Patterson River, the gateway to Port Phillip, is a thriving canal system of the Patterson Lakes residential area. There are four public boat ramps, parking for cars and trailers and riverside picnic facilities making it the perfect venue for family boating expeditions. 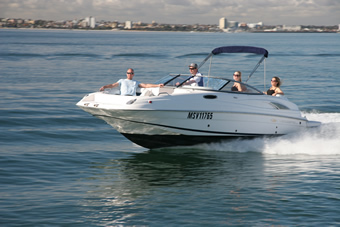 The National Water Sports Centre nearby is used by a wide range of water sport groups. Heritage The Patterson River is a man made waterway, created in 1876 to provide direct drainage from the entire Dandenong Valley catchment area. This run-off flowed into the Carrum Swamp, which spread behind the sand dunes between Mordialloc and Frankston with the only outlets to the bay being the Mordialloc Creek and the Kananook Creek at Frankston. In 1934, 960 houses and farms were inundated by floodwaters. 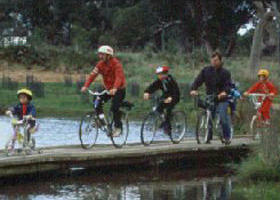 It was then decided to raise the levels of the artificial banks between the bay and Pillars Bridge, south of Dandenong. The river mouth is regularly inspected by Parks Victoria and contractors are employed to dredge the outlet to a safe depth when needed. Before you go Conditions can change in parks for many reasons. For the latest information on changes to local conditions, please visit the relevant park page on the Parks Victoria website. Be bushfire ready in the great outdoors. Refer to the Bushfire Safety section on the Parks Victoria website for tips on how to stay safe. Zen Beauty Spa is an exclusive female clients only home based beauty spa in Carrum Downs Melbourne run by Heather Archibald. Heather specialises in waxing, manicures, pedicures, massage, facials, body scrubs, body wraps, eye lash and brow tinting. Zen Beauty Spa go that extra step to make your treatment as relaxing as possible with bathroom facilities, relaxing modern music, candles, fresh towels and a warm comfortable bed. Please visit the website for more information. Discover true luxury with Zen Beauty Spa. Endota: an indigenous Australian word meaning beautiful Endota spa is the fresh, soothing, all-Australian day spa at home near you. Here, wellness is the way. Laidback and friendly, Endota spa welcomes absolutely everyone. Flawless walls. Timber benches. Essential oils meandering on the air. A billabong footbath lapping at your feet. Lap up Australian organic ingredients in every spa treatment, and at home, soak up organic Endota skincare. Endota spa provide ahhhh-mazing space for sidling in and chilling out. And ahhh-inspiring business opportunities for motivated day spa franchisees � we�re Australia�s largest day spa network, and Australia�s most successful day spa franchise system. 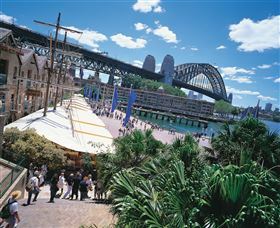 APT (Australian Pacific Touring) offer unforgettable Queensland holidays. Their exciting variety of small group Four Wheel driving through Cape York, Outback Queensland and the coast showcase the wonders of Queensland. Whether it's your first trip to Queensland or you're returning for more, join APT and be amazed by what this unique landscape has to offer. With APT you'll step off the tourist trail, meet charismatic locals and stay at iconic hotels, resorts and unique stations. 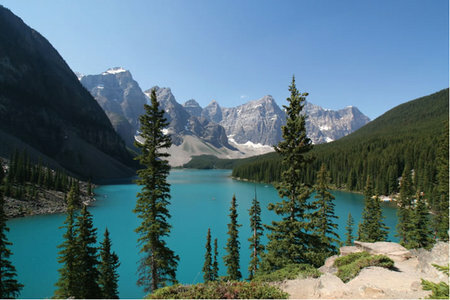 That's what APT is about - developing holidays that appeal to anyone's sense of travel, adventure and fun. Add to that a great mix of cultural activities, delicious food, luxurious places to stay and a dedicated team of professionals to make your holiday as relaxed and enjoyable as possible. 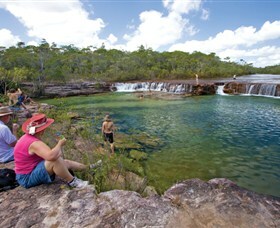 Join an APT Four Wheel Drive adventure and share their passion for this unique part of Australia, and enjoy a holiday experience that is second to none. Botanica World Discoveries provide personalised boutique discoveries for discerning travellers, combining gardens, iconic attractions, art, music, history and gourmet themes. Travel beyond the gate and into the world's finest gardens - public and private, natural and created, and enjoy unique cultural experiences. The small group size and personalised boutique experiences are designed for discerning travellers, which mean you have the opportunity to travel with people who have a similar interest to you. It is a chance to share ideas, engage in stimulating conversation, and make new friends. Trash & Treasure Australia Pty. Ltd.